SCVHistory.com LW3080 | William S. Hart | Hart and Gordon Russell in 'Singer Jim McKee' (Paramount 1924). 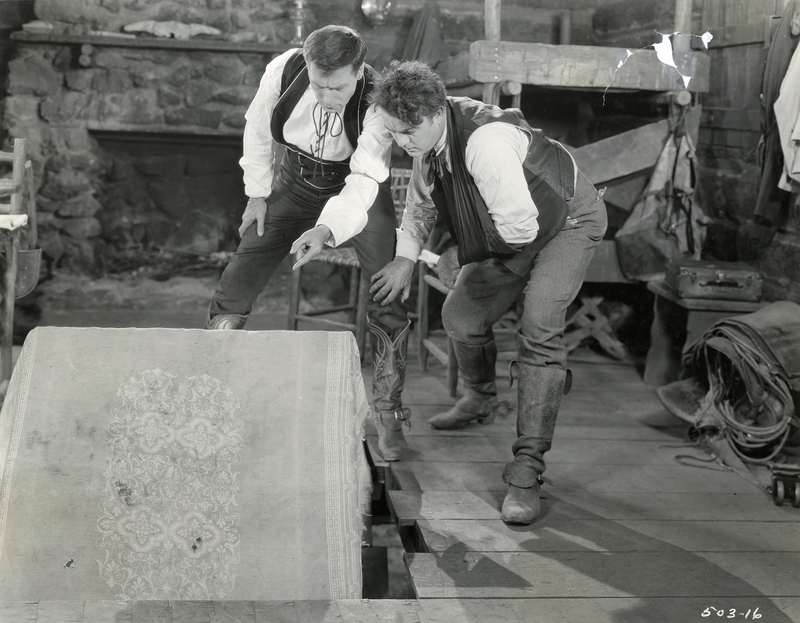 William S. Hart (as the title character) and Gordon Russell (as Buck Holden) in a scene from Hart's penultimate film, "Singer Jim McKee" (Paramount 1924). Singer Jim McKee and Buck Holden discover the hiding place of a famous bandit. LW3080: 9600 dpi jpeg from original photograph purchased 2017 by Leon Worden.